Founded over ten years ago by a family recognised for its passion and nautical professionalism, Arthaud Yachting is the ideal partner for the success of your nautical events. Now a member of the Columbus Yachts group, our team has been reinforced with fresh expertise, while keeping the values that have forged its solid reputation. Having organised a multitude of custom events over the years, our team will advise you and accompany you for an unforgettable experience in total security. Arthaud Yachting guarantees moments of sharing around various activities in order to reinforce your teams, create dynamic cohesion and optimise the performance of your company: team building, incentive programmes and the organisation of seminars. A warm welcome and first class services have largely contributed to the reputation of Arthaud Yachting. A company that has surrounded itself with an exceptional team for your total satisfaction in order to transform a seminar, conference or business meeting into an exceptional and unforgettable event. Communicate, sustain your image, valorise your expertise and inform your target: these are the keys to developing your business. Whether alongside or at sea, sail or motor, our nautical solutions adapt to your private and corporate events. From the family sailing boat to the luxury yacht for your trade fairs, for a team building regatta or a convivial day on a catamaran, the diversity of our offers will give you full satisfaction for each of your projects. Reap the immediate benefits of high added-value sea activities, a real boost for your brand image. The creation of a 100% tailor-made event. With its culture of quality, the Arthaud Yachting team will adapt to your needs and work hand-in-hand with you to develop a turnkey solution. A successful seminar must be carefully thought out and organised according to your requirements, which is why Arthaud Yachting provides a single contact person who is in charge of assisting you with the organisation of your event. We propose the full management of your event, from the commercial proposition up to the big day, while scrupulously respecting your budget and planning constraints. Hugo’s greatest passion is the sea. From his youngest age, at 10 years old he began navigating in competitions on-board sailing dinghies and then mono-hull sailing boats, before deciding at 18 years old to specialize himself in studies of the yachting industry. 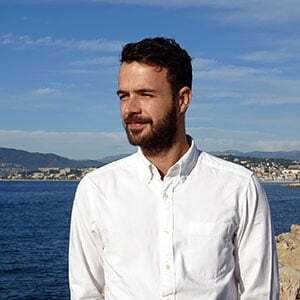 He graduated in 2009 with a bachelor degree in the nautical industry and then began working in a well-known charter company in Cannes. 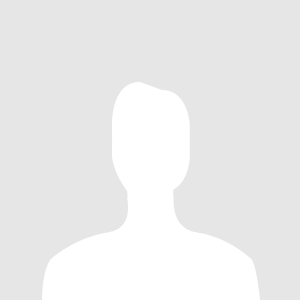 He became part of the company Arthaud Yachting in 2011 as Marketing Director. Due to his solid experience of the industry and excellent network base in the yachting sector, Hugo is a precious asset as a representative to charter your yacht for the season. Simon is a life long sailor, he competed in high level sailing competitions from a very young age. He pursued his studies in the nautical industry and obtained his Captain 500 license in 2005. He began navigation along the French Riviera, and soon enough sailed off around the world on-board superyachts. Luxury, Security, Service are the key words on-board these floating palaces. 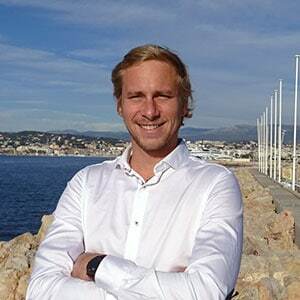 In 2015, after several years spent away on-board several different yachts, he decided to come home to Cannes in order to reconnect with his network. 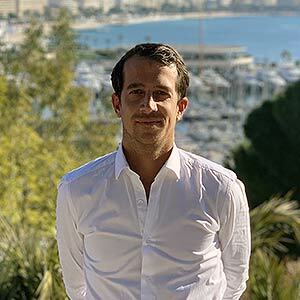 Simon joined the Arthaud Yachting team in 2015, his knowledge of the Mediterranean and his experience as an established captain are clear assets that allow his to guarantee a successful outcome for all your nautical events. Grow up by the sea while respecting its values. 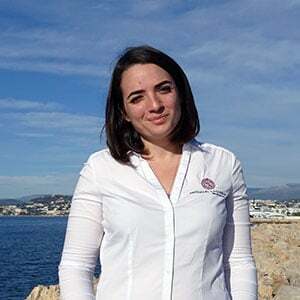 The winds and currents of the world’s cruising zones finally brought her home after ten years of high-level dinghy competition and then on crewed boats to obtain her degree from a business school before participating in the organisation of eight editions of the Régates Royales in Cannes. Her personal and professional experience with racers, coaches and organisers enabled her to meet, collaborate with and then join the Arthaud Yachting & Columbus Yachts team in order to propose you custom-made, turnkey events. Fiona is an events enthusiast, always looking for the latest trends in the events industry sector. She likes to put her creativity and passion to use when organizing yachting events. Her increasing knowledge of the nautical industry allows her to advise and assist clients in innovative projects. 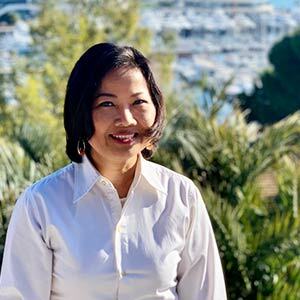 With a strong cultural background and experience in a multi-cultural environment abroad, she puts her open-minded approach to good use when dealing with international clients. She graduated in England with a Bachelor of Science in Events Management, and has several years of experience in the events industry. 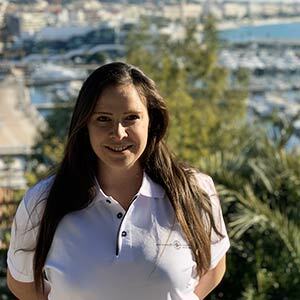 She joined the Arthaud Yachting team in 2016 as an Event Project Manager and has since become an established Charter Broker putting her acquired knowledge at your disposal for both your private and professional projects. Jeff also comes from a seamen family, his maternal Malouines family over several generations has transmitted him their lover for the sea from his very young age living along the manche. At just 16 years old, under his real name Jean-François, he passed his coastal boating license in St Malo betwixt winds and tides. Since then, he continues to love the sea and has flourished his everlasting passion by practicing windsurf in his youth, and surf for over a decade, particularly in the Mediterranean. Professionally, his has acquired experience in Internet, communication and marketing, attributes for which he specifically joined our team. His marine activities allow him to deal with and overcome the climatic variations of the beautiful but temperamental Mediterranean in order to thoroughly and efficiently organize transfers by speedboats and taxi boats, as well as day charters, ranging from just one vessel to over ten for corporate events, birthdays and any other shenanigans! Hubert, an experienced sailor, has crossed six times the Atlantic including experiences on-board racing sailboats and in chaotic weather. His knowledge of the nautical industry is at its highest. 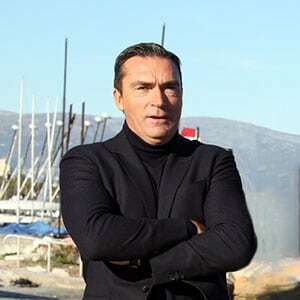 In 2003 he decides to create the company Arthaud Yachting alongside his wife Magali in order to ally his passion to his professional career. After over ten years of experience in nautical events, his advice and skills are a major asset for our team and a great contribution for the organization of your events. After graduating with a master degree in management and marketing of luxury goods at the European Business School of Paris, Ksenia has decided to spend one year in the hospitality industry and gained knowledge with communication procedures and high individuals service requirements. She studied abroad in Moscow, Milan and New York and became a very open minded and organized person. 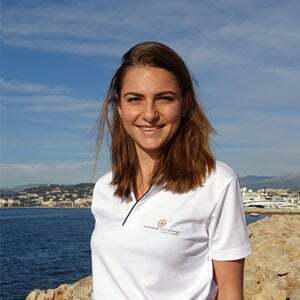 Ksenia entered the yachting industry in 2015 by starting first as a Charter assistant and has created and built a strong network and relationship within the yachting industry on the French Riviera. She is very dynamic and knows how to use her knowledge and skills at their best in this challenging industry. Ksenia speaks fluently Russian, English and French and will be happy to assist you with any kind of requests. Caroline was born near HÖI AN, a coastal city in Vietnam. She began her professional career at Vietnam Airlines in the field of the international tourism. Her multiple travels have allowed her to discover France where she decided to settle permanently. She first worked and gained knowledge in management and corporate accounting in a Parisian firm. Wishing to return to the field of international tourism, she decided to move to the French Riviera and joins Arthaud Yachting team. Rigorous, organized, open minded and friendly, Caroline ensures the financial management of the company. We are always looking for motivated staff to join our team. Send us your CV and cover letter and join our team in Cannes. Since 1995, Arthaud Yachting has had the opportunity to work for a multitude of companies. We have always been able to listen to their requirements and pay attention to details in order to organize their “incentive and “team-building” events by proposing a panel of adapted and creative activities. Our experience allows us to quickly determine the needs and wants of our clients and to answer favorably thanks to our expertise of the nautical industry and knowledge of the French Riviera.